Yes, spring is finally here! And with it comes spring cleaning to welcome plants that are waking up from their winter hibernation. 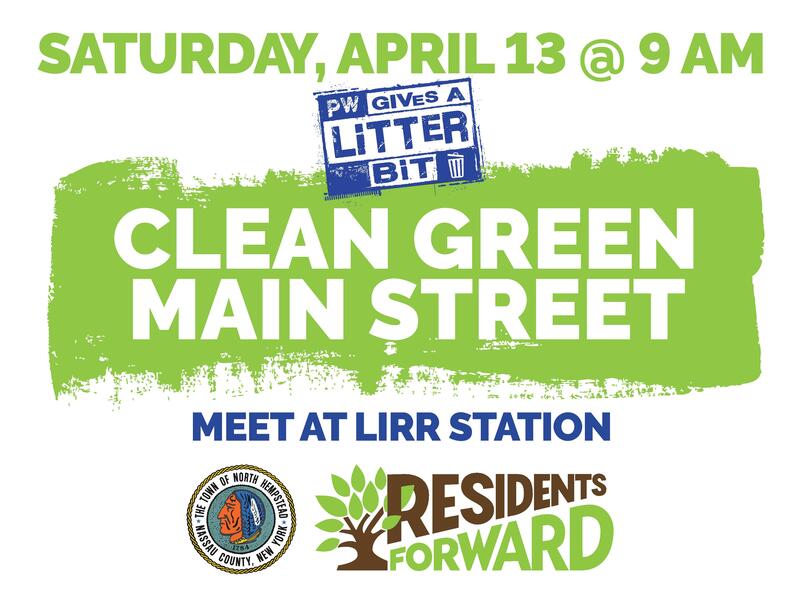 Residents Forward and The Town of North Hempstead invite the entire community to join them on Saturday, April 13th at 9:00 a.m. for Clean Green Main Street. This annual cleanup is perfect for families, individuals, teens, teams, troops and students, enlists dozens of volunteers to help spruce up Main Street for the growing season. Tool and materials pickup will be at the LIRR Station parking lot facing Main Street. Volunteers should just come wearing work clothes, a hat and sunscreen.